S.A.C. Martin and 240P15 like this. Thank You and of course.It is a Pacific without tender. An A5 would have a historical connection with today's preserved GCR and would be efficient for heritage operations, unlike other new build pacific projects based there. Which pacifics would those be? 2392 and 240P15 like this. It was stated that Hengist was to be based their once it had become a rolling chassis. I'm not sure if that is still the case?!? Members of the 72010 group could answer with more authority, but there's no longer any mention of the GCR as a base on their website and they've moved everything from the GCR to their contractor in Sheffield. They also plan to fit a Sheffield shedcode in reference to the build location. Sheff, Black Jim and Gav106 like this. An A5? Definitely YES!! 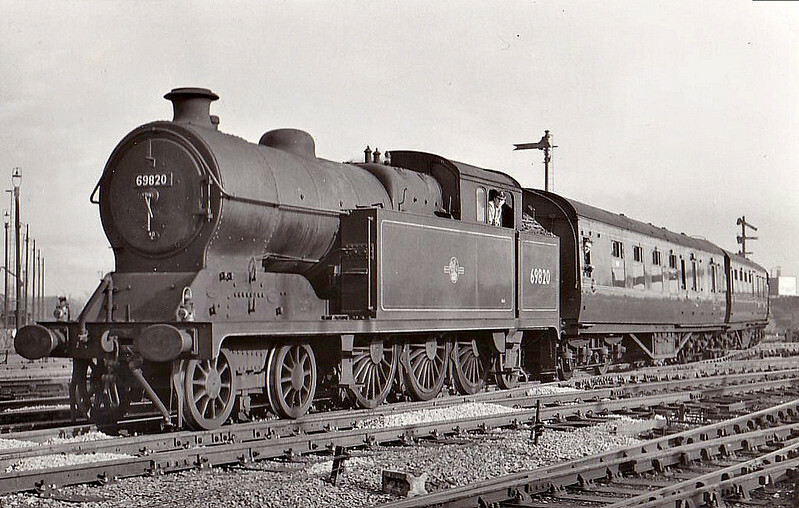 The GCR would be an excellent homebase for a newbuild A5. andrewshimmin, Kinghambranch, 240P15 and 1 other person like this. I like big tank engines but that isn't the one I'd go for. I'm a passionate Horwichite and big fan of Hughes. But I think the 4-6-4T would be useless: far too heavy and coal guzzling. They were replaced by Fowler 2-6-4Ts for a reason! The Furness one (or a Brighton Baltic) might be more useful, and would have the distinction of coming from a railway for which we have no "modern" locos preserved (only some very early ones). pete2hogs, jnc and Monkey Magic like this. 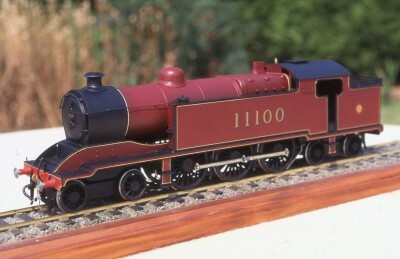 I'd love to see a big L&Y or GC loco - but suitably 'modernised' to cure their insatiable appetites for the black stuff! 240P15, Allegheny and Gav106 like this. Just a thought about this. Relative to their time in original service, heritage locos spend a disproportionately large proportion of their time burning coal while stationary: lighting up and cooling down (because of intermittent duty cycles, and short daily mileages); and even express locos spend far more of their time running round relative to the long sustained work they would originally have done. (As an example on the Bluebell, in a typical three trip, 66 mile daily duty, the regulator is only open for about two hours. For the other ten hours of the day, the regulator is shut, either stationary or coasting). The locos also run slowly. One historic cause of high coal consumption was a constricted front end; however, at low speeds, the valves are open for longer duration, so that issue is far less important - for the same cut off, the valves are open three times longer in time at 25mph than at 75mph. Given that, I suspect that the gains from "modernising" are rather less than you might hope. Put bluntly, you can have the most efficient front end in history but it won't save any coal while standing still - which is pretty much what locos on heritage lines do most of the time. oddsocks, andrewshimmin, ragl and 6 others like this. I agree with most of that, but I seem to remember the big L&Y engines at least suffered horrendously from leaking piston valves, both past the rings and through the ball valves in the valve heads intended to give free coasting, like a slide valve. They'd leave the shops in reasonable nick and within short order the crews would be piling the tenders high with coal to make the same runs, as also happened with the Royal Scots as-built. In the case of the 4-6-0s, they got standard narrow ring piston valves shortly before the LMS scrapped them all and were much improved, but rather too late. Losses past the valves are just a function of steamchest pressure, which again I guess probably isn't very high on heritage lines, but if I were doing a new build of anything (which, barring miracles, I will not be), I'd be tempted to go to town on the piston, valve and lubrication design to minimise losses and (more importantly) increase the interval between valve and piston exams. ILosses past the valves are just a function of steamchest pressure, which again I guess probably isn't very high on heritage lines, but if I were doing a new build of anything (which, barring miracles, I will not be), I'd be tempted to go to town on the piston, valve and lubrication design to minimise losses and (more importantly) increase the interval between valve and piston exams. Indeed, there is far more money to be saved increasing mileage between repairs (planned or otherwise) than in coal dodging. If you could change the interval between p&v exams from say 20k miles to 30k miles while maintaining the same reliability otherwise would allow cutting one whole p&v exam out of a nominal ten year cycle, which would be a substantial saving. I wonder if there is an opportunity here to develop steam loco technology in this area. Lubrication and materials are the areas that would need to be investigated. Perhaps here is something to be learned from internal combustion engine technology where mileages achieved by engines has drastically increased in the last 50 years. is enough attention paid to surface finish on rings and bores?